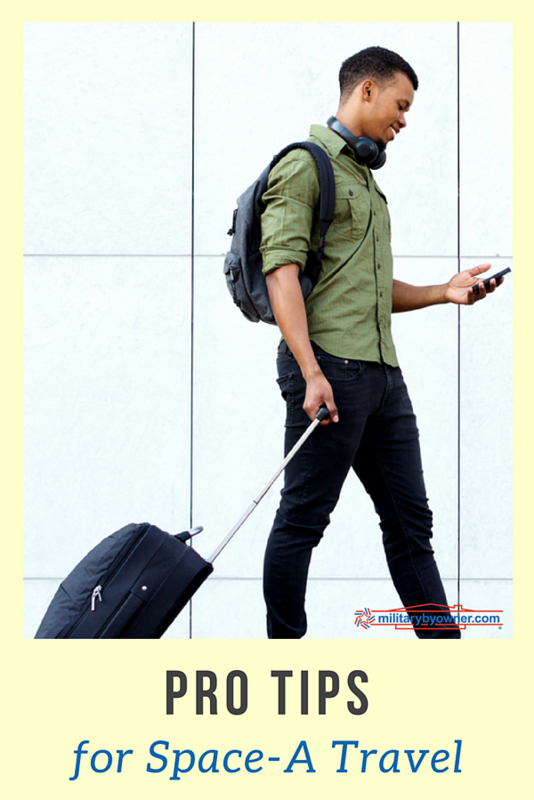 Now that you’ve learned from the first two posts in this series how to plan for your space-A flight and what to do on the day of travel, you know the basics and should be well-prepared for your adventure. This post will provide pro tips to boost your chances of reaching your final destination while minimizing costs. My husband and I used these tips successfully during our last three years of travel using space-A flights. Depending on where you live, you may have several possible bases you can fly from. For example, if you live in the Washington, D.C. area and want to travel to Europe, look for flights from JB Andrews, Dover AFB, Baltimore-Washington airport, and Naval Station Norfolk. You should also consider JB McGuire-Dix. They have many flights to Europe, and it’s fairly easy to fly space-A from JB Andrews or Dover AFB to McGuire. If you don’t live close to a base with an air terminal that has regular flights to your target destination, consider how you could easily get to an area of the country (such as D.C.) with several nearby bases. You can also make your way to a base that has frequent space-A flights, even if they aren’t direct to the place you want to go. Flights within the continental U.S. (CONUS) tend to be less competitive than overseas flights, so chances are good that you can hop to one of the major hubs by connecting through other bases. When flying Space-A, be sure to research all of your options for getting from your starting point to your destination. You may have identified a preferred route, but you should also figure out as many alternatives as possible. For example, if you live in California and want to travel to Ramstein AB in Germany, your ideal flight is the mission that flies directly from Travis AFB to Ramstein a few times per month. If you don’t catch one of those flights, another option could be to fly to Kelly Field (JB San Antonio), and then to Dover AFB or JB Andrews. Both of those bases have regular flights to Ramstein. Identifying possible Space-A routes requires you to do some research, but we have found through our travels that a little strategy goes a long way. Especially when traveling between CONUS and OCONUS, it’s generally best to hop on the first flight you can get. While you may be tempted to hold out for a flight to a base close to your destination, take the sure thing. Even if that perfect flight is on the schedule for tomorrow, there’s no guarantee that it won’t be canceled or that the flight is not restricted and will not take Space-A passengers (yes, those things happen regularly). Then you will burn through money and leave while you wait for another flight and face the possibility of purchasing overseas commercial airfare. Any time you’re thinking of flying space-A, start by comparing the cost of a commercial flight vs. the costs you are likely to incur flying space-A. Remember to incorporate the potential costs of meals, lodging, and local transportation while waiting for flights at both ends of your journey. Keep in mind that while there may be a flight to Ramstein tomorrow with 72 seats, and you have a good shot of making it, you don’t know how long you may be waiting for a flight on your way home. This comparison is especially important when flying to or from a base in the Pacific, where you may have to compete for flights in multiple locations (e.g. Guam and/or Hawaii) on your way. You will likely have to spend at least one night at each of those locations. A lot of space-A expertise is gained through experience. After you’ve done it a few times, you will become familiar with the different bases and where they have flights. You will know where and when to fly in order to maximize your chances of getting a seat. And you will have a sense for when space-A is a good option and when you should fly commercial. In the meantime, keep doing your research and learning from others’ space-A experiences. The wisdom of frequent space-A travelers can save you a lot of time and money, and you’re sure to hear some great stories along the way!